PopPhoto knows a thing or two about cameras and photography. And they know the best places to capture the best pics. 8 of those locales are posted here, but for entire list 25 spots, be sure and check out their post here. You've photographed Paris and San Francisco and the Taj Mahal — or if you haven't, you know you want to. So we enlisted a slew of experienced travel photogrphers to help identify less famous, but equally photogenic, alternatives. Heading south instead of north for whale watching affords you a totally different setting for your images. 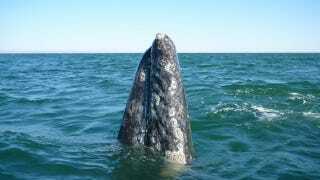 "Laguna San Ignacio is a sanctuary for the Pacific gray whale, and on boat trips on the water, whales will come right up and play with you for hours," says Welty. Staying in San Ignacio lets you capture the colonial Mexican town set within a lush, green, date oasis, as well as visit nearby Sierra de San Francisco to shoot its prehistoric pictographs built into the rock. Must-get shots: Close-ups of whales frolicking near your boat in the laguna; wide-angles of the well-preserved Misión de San Ignacio; rock paintings in sunlight or light-painted after dusk. If you've captured the country side of Nashville, a four-hour drive to Memphis gives you a different side of Tennessee (and musical) history. Plus, you'll find a lot more to photograph than just Graceland and Beale Street: Shoot the arts district of South Main's storefronts and trolleys amid low-rise architecture with a gritty, Elvis-era vibe; head to Elmwood cemetery for old tombs beneath crepe myrtles and ancient magnolias. At night, bring your camera downtown for some colorful shots of honky-tonkin'. Must-get shots: Painted brick storefronts; the Lorraine Motel, to honor Martin Luther King, Jr.; the old rails of the Frisco bridge by day and the lights of the Hernando De Soto on the Mississippi at night. This photo: Beale Street nightlife with musician Muck Sticky and Beale Street Flippers. By now you have enough pictures of churches and castles. So head north for an "ecotourism" stay in Sweden, where you can photograph from a treehouse hotel or capture the northern lights outside a tricked-out igloo. Photographer Christina Holmes recommends visiting the wooden hermitage UrNatur in Ödeshög, three hours north of Stockholm: "Just out of a village into a forest, you find yourself dwarfed within a landscape of high trees that is completely breathtaking." For a unique perspective on the forest, continue north to Harads to the prefab lofted rooms of Sweden Treehouse. Or, for a different experience in winter, stay at the Icehotel in Jukkasjärvi, to shoot mountain reindeer and the Aurora Borealis. Must-get shots: Log cabins surrounded by moss-covered rocks and high oak trees in Ödeshög and nearby nature reserves; odd treetop hideouts; northern lights. This archipelago off the coast in Pernambucan offers scenery for a lifetime. An ecological sanctuary, with human settlement only on the mainland, it has pristine beaches, clear waters, dramatic rock formations, and a lush interior. With limits on visitors, it's crowded only with wildlife: dolphins, turtles, grouper, eels, and breeding seabirds. You must plan well in advance and pay a hefty environmental protection tax. Must-get shots: Dive photos at the coral reefs; turquoise sea lapping volcanic rock; spinner dolphins at play; the coastline from above. For a unique cultural experience, along with beautiful Caribbean beaches, visit Curaçao, in the ABC islands of the lesser Antilles (which also comprise Aruba and Bonaire). The streets of Old Town in Willemstad date back to the 16th century; pastel buildings along the bustling port recall its Dutch colonial history. Small beaches and bays on the southwest offer scenic coast and rich marine life. The Northwest coast is home to Christoffel National Park, where you can capture orchids, cacti, and deer against the rocky formation of Mt. Christoffel. For diving, hop a quick plane ride over to Bonaire. Must-get shots: Canal-fronted houses in Willemstad; street life in Old Town; rocky, secluded beaches; Mt. Christoffel above the greenery. Botswana offers different photo ops than its better-known neighbors. "The Okavengo delta floods seasonally, attracting wildlife-lions, cheetah, elephants, hyenas-that you can capture crossing the shallow waters," says Andy Biggs, who leads trips here (andybiggs.com). "It's remote, so you can go off-road on private game drives with no other vehicles around." Must-get shots: Lions swimming the flooded delta at sunset; elephant herds in the shallows; late-afternoon panoramas of baobab trees with grazing giraffes. As majestic as all treks in Nepal are, those on the Annapurna Circuit are worth visiting now, before major road projects begun in 2010 by the People's Republic of China bisect the region. Get a guide and take the Ghandruk Trek or steeper Mustang Canyon Trek (formerly Tibet, now in north-central Nepal). One of the lower descent points of the Kali Gandaki Gorge, among the deepest in the world, Mustang is a step back in time to a pre-industrial farming community. "You're able to photograph farmers working at high altitudes with no machinery, which is rare," says Chris Noble. Hikes are arduous and permits ($50 per day) cost more than on other treks, but the views are worth it. Must-get shots: Cloud drifts rising towards snow-capped mountain peaks; farmers at work on plateaus; shale and sandstone formations along the canyon trail. For great coastal, mountain, rainforest, and desert images, you might plan separate trips to the North- and Southwest. But visit Oregon, and you can capture all four in one day. With a base in Portland, a road trip from Cannon Beach or Astoria up to Mount Hood, then down through the temperate rainforest, lands you in the desert of John Day National Monument near Fossil in hours. Stretch your trip out and spend a day or two in each location-and make time for all three of John Day's parks, including the rainbow-striped Painted Hills and the equally stunning cyan cliff beds of the fossil-filled Blue Basin. And add a day to drive up to Crater Lake for gorgeous shots of a caldera lake in a collapsed volcano. Must-get shots: Stormy days on the dramatic, rocky coastline; the snow-capped peak of Mount Hood rising through wilderness; wildflowers or waterfalls in Mt. Hood National Park; sunset or sunrise magic hours to capture the colors of Painted Hills and Blue Basin. But this is only to start. For all 25 locales, be sure to check out PopPhoto!